I've been using this foundation from Seventeen for a few months now, maybe since the end of July. I can't remember where exactly I had heard that this foundation was a really good affordable full coverage foundation, but to whoever said it, thank you! If you've read my blog for a while or seen any of my YouTube makeup videos, then you'll know I have problematic skin. I used to have acne, it's cleared up quite a bit in the last few years thankfully but I still always opt for a full coverage foundation, as I've been left with scars and still suffer breakouts. The problem with getting a really good full coverage foundation that doesn't break me out, is that it always costs a fortune! 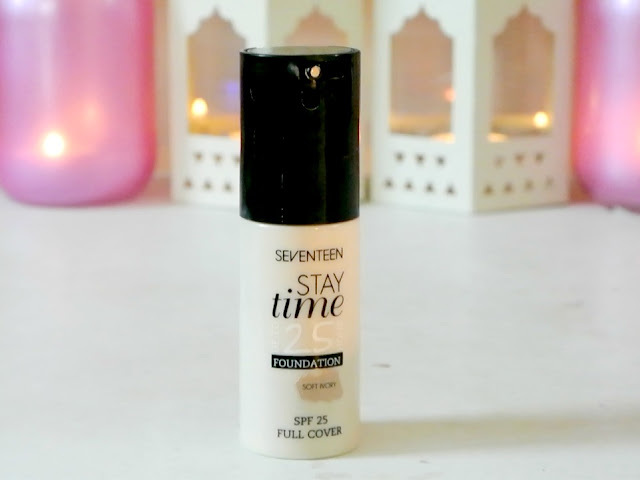 Enter Seventeen Stay Time foundation, a budget friendly but high quality product. This is one of the first foundations that I have continuously loved, no matter how my skin is behaving. It is definitely FULL coverage and very build-able. It can be a little tough to work into your skin, I always apply it with a stippling/foundation brush and then go back and blend it with the Real Techniques Miracle Sponge. It works amazingly well with the sponge. It has an SPF of 30 which I think is amazing for a foundation. On the skin it can feel a little heavy but to be honest all full coverage foundations do feel a bit heavy. It has been compared to the Estee Lauder Double Wear foundation quite a lot, but of course it is only a fraction of the cost. This foundation will only cost you €8.19 and is usually always on a 3 for 2 offer in Boots. Also this is exclusive to Boots, so you can buy it in store or online at Boots.ie. So Seventeen say that this foundation will last for up to 25 hours, I have only wore it for 16 hours at the very latest and to be fair it did last very very well. My skin is a little weird, I have a dry nose but my forehead and the area beside my nose would typically be quite oily. What I did notice is that the foundation would cling to any of the dry patches after about six or seven hours, so if you have dry/very dry skin, you may want to give this foundation a miss as it does have a matte finish. 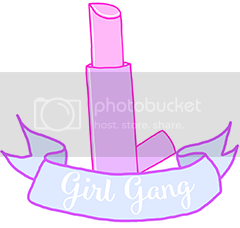 Also if you have a fine lines, after applying it, leave it for about 5 minutes, then come back, smooth out any creases and then set it with powder. This foundation as far as I can tell comes in about 6 different shades and it is one for us pale girls. 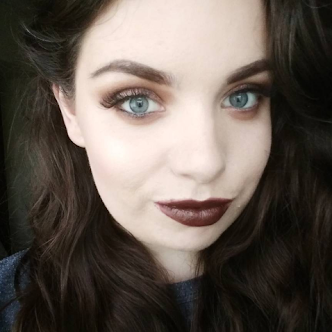 I use the shade soft Ivory and it suits my skin really well. There are even lighter shades available too. I love this product and it is an absolute favourite of mine. I will definitely repurchase it and would 100% recommend this to you. Have you tried this foundation or any other products from Seventeen ? Great review. I don't think it would suit me if it's like Double Wear as that destroyed my skin. Thanks Claire! Oh really, that's such a pity as it's great value!